Thanks for inviting me to testify on the subject of such importance to both our nations. Three months ago, the U.S. marked the 13th anniversary of the Islamist terrorist attacks of September 11, 2001. What we’re facing with ISIL today in Iraq and Syria has deeply troubling similarities to 9/11, in my view, both in its origins and in its threat to international security. Now, there is, of course, at least one major difference between then and now: while Christians and other minorities in the Middle East were under mounting pressure in 2001, today their very existence is at risk. We’re witnessing the disappearance of Christians and Christianity from Iraq and Syria, a religious and cultural genocide with terrible humanitarian, moral, and strategic consequences for Christians, for the region, and for all of us. What has not changed since 9/11 is the root cause of Islamist terrorism: a radical and spreading interpretation of Islam nourished and abetted by Middle Eastern tyrants, both secular and religious, by legal and cultural practices of radical intolerance, and by a dying political order. Unfortunately, the “religion avoidance syndrome” that afflicts many western policy-makers has not served us well in addressing this threat. Whatever political order emerges in the Middle East will necessarily be grounded in the religion of Islam. Despite the efforts of Western and Western-inspired modernizers, religion remains the primary identity of people in the region. This means that any successful new political order must ultimately be based on religious freedom; that is, full equality under the law for all religious communities. Both history and contemporary research make it clear that religious freedom will be necessary if highly religious societies are to be stable and to rid themselves of religious violence and terrorism. While military force is clearly necessary against ISIL and on occasion will be required against other terrorist groups, force alone will not suffice. For this reason, Canadian and U.S. international religious freedom policy should be understood as part of a broader national security strategy, as a diplomatic counterterrorism tool, if you will. In recent decades, Islamist terrorist movements have emerged throughout the world and they are today present in Africa, Asia, Europe, and the Americas. Notwithstanding their theological and other differences, these groups are motivated by a belief that God is calling them to brutality and violence against the enemies of Islam. In the case of ISIL, the objective is to conquer and control territory in order to carry out this divinely ordained mission. Most of these groups would destroy our countries if they had the means. Violent Islamist extremism has deep roots in the last century and beyond. Varying factors have contributed to the emergence of religiously disparate groups like Saudi Wahhabism, the Muslim Brotherhood, the Taliban, Hezbollah, the al-Nusra Front, Boko Haram, al-Shabaab, al-Qaeda and its various guises, and ISIL. Those factors doubtless include economic stagnation, a sense of victimhood, and rage at the west, but the most powerful factor is religion, which energizes and sustains other grievances. Islamist terrorist leaders draw on a long tradition of extreme intolerance within one stream of Islam … That stream is motivated by religion … Islamist terrorists mean exactly what they say: to them America is the font of all evil, the “head of the snake,” and it must be converted or destroyed. Now, the vast majority of Muslims do not support violence or cruelty. They are horrified by what is taking place in the name of their religion, but it’s also true that most Muslim majority nations have legal and social structures such as anti-blasphemy, anti-defamation, and anti-apostasy laws and practices that encourage extremism, including against Muslim minorities, and that discourage the liberalizing voices of Islam. 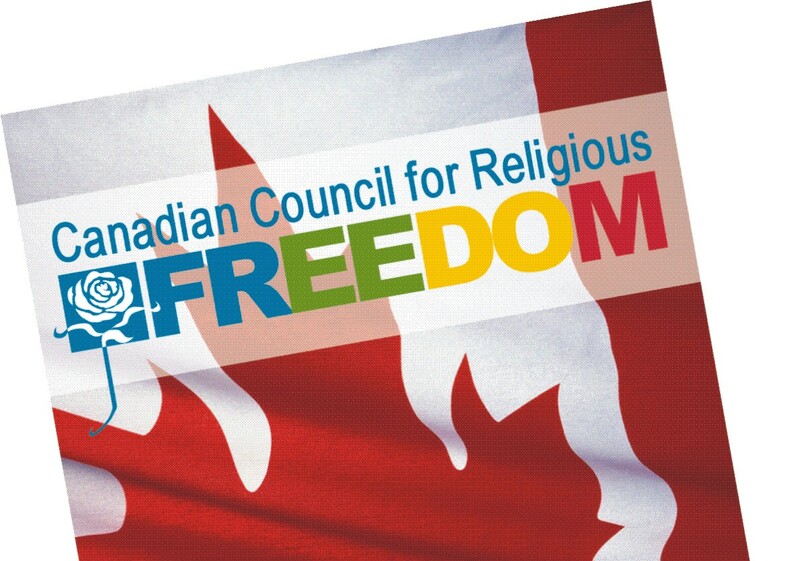 It’s here that Canadian and U.S. religious freedom policy can make a contribution. Until the extremist understanding of Islam is utterly discredited in the Islamic world, or at least moved to the margins of intellectual, theological, and political discourse, Islamist terrorism will continue to grow and flourish. Let me give a brief example to illustrate the point. A few years ago, an Afghan graduate student submitted a research paper that argued, from the Koran, that Islam supports the equality of men and women. His professors turned him in to local police. He was charged with blasphemy, convicted, and sentenced to death. The rationale for this action was that the young man had offended Islam and must be punished. So long as this malevolent idea remains institutionalized in Muslim societies, radicals will dominate the discourse about what Islam requires of its adherents. That idea must be isolated within, if not eliminated from, Muslim societies if they are to rid themselves of the scourge of Islamist extremism and terrorism. A regime of religious freedom would help in this task by ensuring open debate about Islam and other religions without fear of criminal charges or mob violence. One could criticize anti-blasphemy laws, for example, and support religious freedom without fear of being murdered, as were two Pakistani leaders recently, Shahbaz Bhatti and Salmaan Taseer. History, modern research, and common sense tell us that a system of religious liberty would undermine radicalism. On the other hand, repression of the kind that has been endemic in the Middle East clearly encourages radicalism. Let me conclude by addressing what Canadian international religious freedom policy might do to mitigate the threat of Islamist terrorism in the Middle East, in particular ISIL. There’s much to be said here, but the key to success will be overcoming the widespread presumption that religious freedom is a Trojan horse designed to destroy Islam, and replacing it with the firm understanding that religious freedom is necessary for the health of Islam. In order to accomplish this goal, Canada should ensure that the diplomatic status and authority and the resources allocated to its own very impressive religious freedom ambassador, Ambassador Andrew Bennett, are sufficient to communicate to other nations and to Canada’s own diplomatic establishment that this issue is a high priority for the Canadian government and that it will remain so into the future. Give the ambassador everything he needs to develop strategies and to implement them in key countries around the globe. However, to be successful, this policy cannot be the purview of a single office or ambassador. I also urge Canada to train all its diplomats to understand what religious freedom is, why it’s important for both individuals and societies, why advancing it is important for Canadian national interests, and how to advance it. In the end, we have to convince struggling Muslim democracies such as those in Iraq, Egypt, Afghanistan, and Pakistan that until they move in the direction of religious freedom, they will never achieve their own goals of stable self-government, internal security, economic growth, and peace. I don’t discount, Mr. Chairman, the extraordinary difficulties that will attend the development and implementation of the policy I’ve described, but in my view, the stakes are high enough to make the effort. I believe that Canada, the U.S., and other nations can together mount an effective religious freedom counterterrorism policy that does not entail the costs in blood and treasure that military action does. Indeed, religious freedom diplomacy, if successful, would reduce the need for military action and reduce the loss of blood and life and treasure.